Immunohistochemical analysis of paraffin-embedded human small intestine tissue slide using 21917-1-AP (MAdCAM1 antibody) at dilution of 1:400 (under 10x lens). 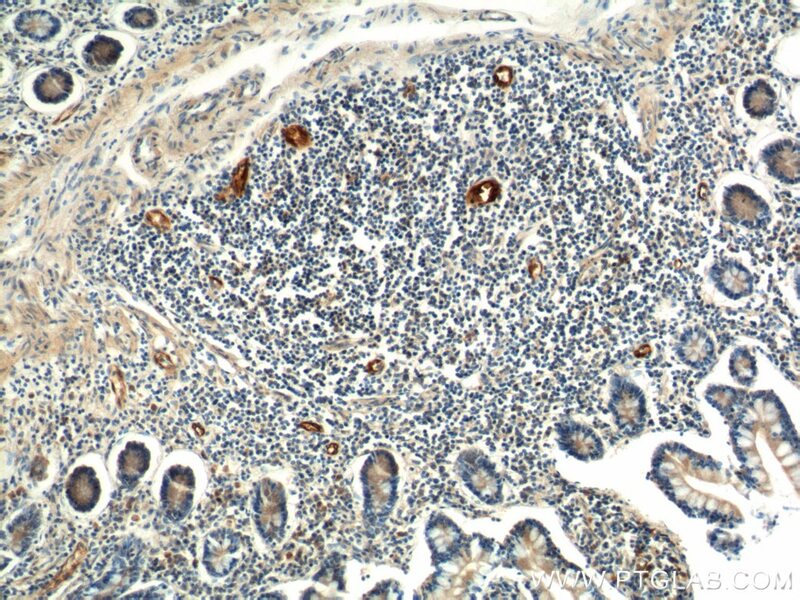 Immunohistochemical analysis of paraffin-embedded human small intestine tissue slide using 21917-1-AP (MAdCAM1 antibody) at dilution of 1:400 (under 40x lens). Lymphocyte recirculation through different organs is thought to be regulated by adhesion molecules ("homing receptors") recognizing tissue-specific vascular addressins on endothelium (PMID: 7511642). 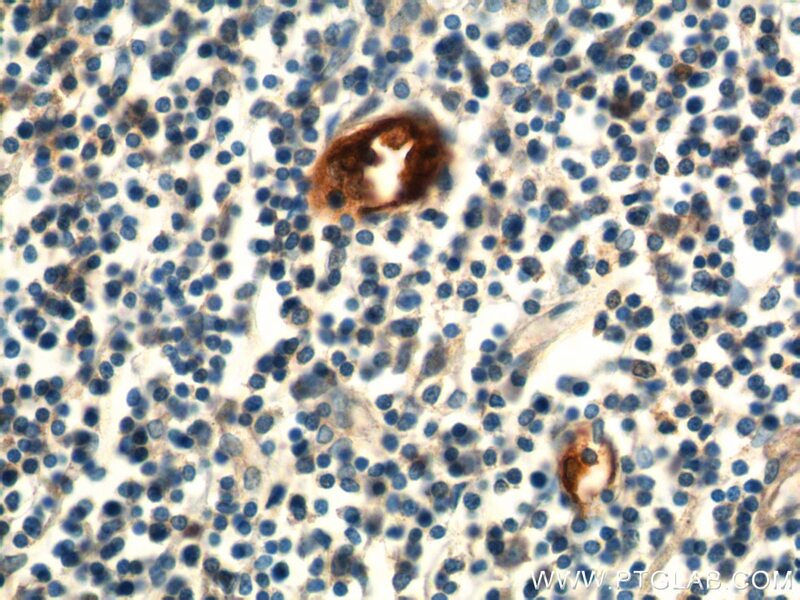 The mucosal vascular addressin, MAdCAM1, is an immunoglobulin superfamily adhesion receptor for lymphocytes that is expressed by mucosal venules and helps direct lymphocyte traffic into mucosal tissues including the Peyer patches and the intestinal lamina propria (PMID: 7687523). MAdCAM1 can bind both integrin alpha-4/beta-7 and L-selectin, regulating both the passage and retention of leukocytes. 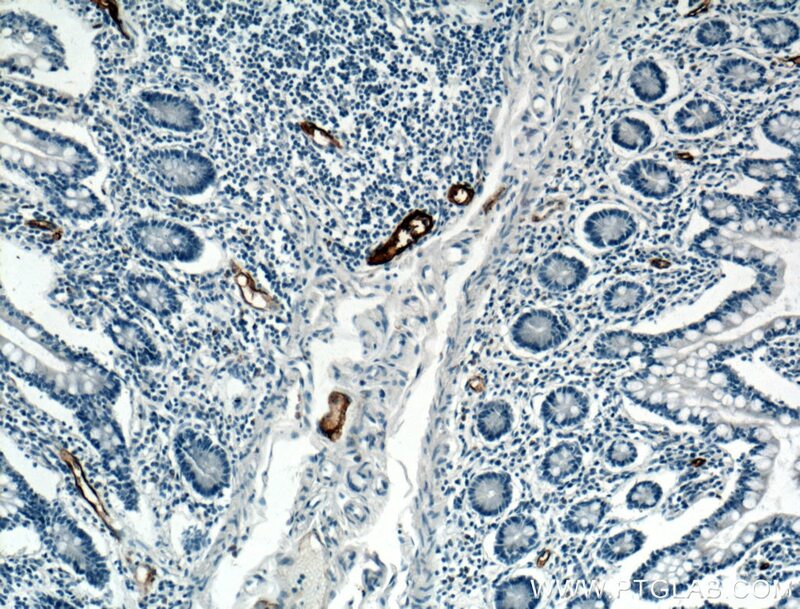 Immunohistochemical analysis of paraffin-embedded human small intestine tissue slide using 21917-1-AP( MADCAM1 Antibody) at dilution of 1:200 (under 10x lens). 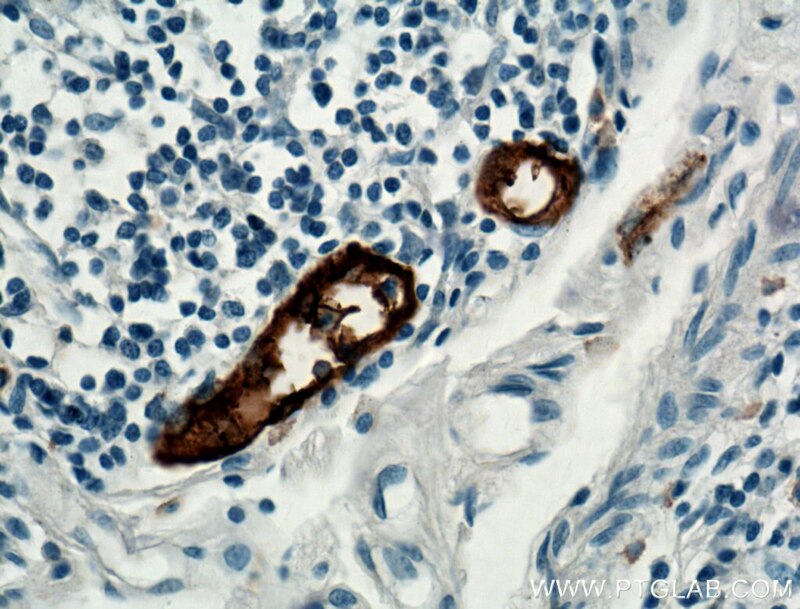 Immunohistochemical analysis of paraffin-embedded human small intestine tissue slide using 21917-1-AP( MADCAM1 Antibody) at dilution of 1:200 (under 40x lens).